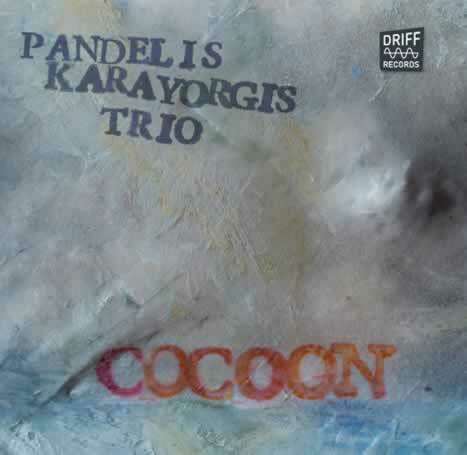 Pianist Pandelis Karayorgis, bassist Nate McBride and drummer Randy Peterson formed the Pandelis Karayorgis Trio from 1997 to 2005. Together they recorded three CDs: Heart & Sack (Leo Lab ) in 1998, Blood Ballad (Leo Records) in 2001 and Carameluia (Ayler Records) in 2005. The trio has been featured by Kevin Whitehead on NPR's Fresh Air and has received critical acclaim internationally, including several critics' "best of the year" picks. Jazz Times lists Blood Ballad on its Critics' Picks 2001 list while the Boston Phoenix calls this trio one "of the best in the world" and lists Heart And Sack on its top-10 choices for 1998 saying: "Karayorgis combines Lennie Tristano's sense of linear propulsion with Paul Bley's conception of the piano trio as a free-flowing three-way conversation. That makes for a coiled, winding and unwinding sense of swing driven by Karayorgis's prickly lines and expansive harmonies, bassist Nate McBride's mix of gestural abstractions and deep-walking, and drummer Randy Peterson's ability to drop the downbeat anywhere, confounding expectations and drawing you into this band's remarkable pulse." In November 2004, the trio traveled to Europe for their first overseas tour. In February 2005, the trio performed in Chicago and recorded their third CD, "Carameluia." They were invited back in October 2005 to perform at the Hungry Brain's Phrenology Festival. One variant of the trio with drummer Curt Newton and bassist Nate McBride is the mi3, a collaborative group that sometimes uses the Fender Rhodes. More recently the trio has worked and recorded with bassist Jef Charland and drummer Luther Gray. Their CD "Cocoon" will be released later this spring (2013) from Driff Records. The Boston-based pianist-composer helms one of the best progressive piano trios anywhere. His cerebral, kinetic, witty, and propulsive playing and writing build on the foundation of greats such as Thelonious Monk and Cecil Taylor.
" ... just about perfect ... deathlessly hip"
"Let's get straight to the point: this is an impressive record. Enjoyable and satisfying too. Karayorgis' chops are undoubtedly robust, as he proves up front with the vaguely Cecil Taylorish "Cracks", but what holds the attention overall is the air of deep thoughtfulness. ... Karayorgis demonstrates the ability, like Monk and Taylor (and Ellington), to exploit the percussive potential of the piano whilst honouring the richness of its resonance and the range of its colours. Coltrane's "One Up", the only track not composed by Karayorgis, gets a fiercely physical workout, then ends this superb album by simply and surprisingly evaporating." "Pandelis Karayorgis is a stealthy pianist. ...If you thought the jazz piano trio format had atrophied long ago, think again." "McBride is an obscenely talented bassist, whose chops are matched well by his earthiness and invention." "... Peterson, one of the great jazz drummers to emerge in the past couple of decades." Boston-based pianist Pandelis Karayorgis rarely performs in Chicago, but perhaps that will change now that Nate McBride, his longtime bassist, has moved here; he's in town now to record with McBride and the superb drummer Randy Peterson. On that trio's most recent recording, Blood Ballad (Leo), released in 2001, Karayorgis synthesizes the styles of Thelonious Monk, Lennie Tristano, and Andrew Hill in wonderfully dense and dark improvisations, melding carefully burnished, sorrowful melodies and mile-deep harmonic movements. Thanks to the nimble rhythm section, songs collapse and resurrect themselves with striking fluidity, gracefully swinging one moment and splattering in free time the next. But the trio never loses its control of the music. "... McBride has a hefty sound and deft touch (the bassist wowed the pants off a crowd when this trio [Joe Morris Trio] played live in Chicago last year)."